ANDREW JOHNSTONE reviews a new series about an autistic savant surgeon. Believe it or not. “My name is Shaun and I am a Surgical Resident at St Bonaventure Hospital in San Jose,” Shaun Murphy explains to anyone and everyone who crosses his path. He also likes apples, and might throw that in without further prompting. He speaks in a flat monotone and uses body language awkwardly. His behaviour turns erratic when stressed and he often misconstrues simple social situations. People sometimes feel uncomfortable in his presence and when the penny drops might say something like: “I am not letting this freak anywhere near my son/sister/husband,” as the case may be. When things get messy the surgical team are at a loss as to what to do next, Shaun stares off into space and a whole lot of complex graphics appear above his head. That’s his unusual brain making some unusual moves. Then he explains his idea. The lead surgeon might shake his head in doubt but Shaun’s logic is often hard to ignore and mostly they do as he suggests and another life is saved. From Shaun’s perspective it’s a legitimate inquiry. He’s had a rough ride through life and as a result all he wants to do is help others and if being arrogant will make him a better doctor then so be it. Fortunately, he has friends looking out for him and they mostly set him right. Based on a huge South Korean hit, the owner of the rights (South Korean actor Daniel Dae Kim) had a hard time getting any traction for the concept in the USA, but eventually Sony and the ABC network came on board and the result was one of the biggest broadcast hits of 2017. 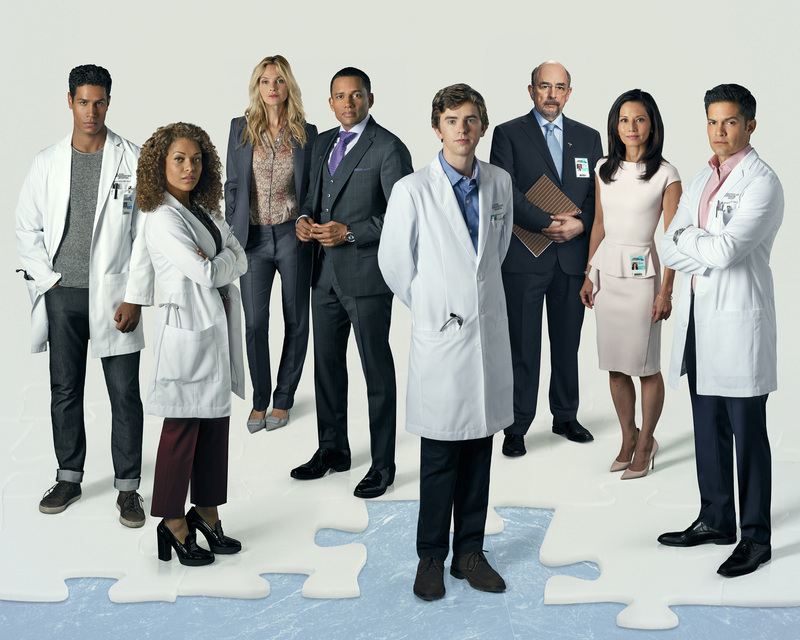 I have seen Season One, which is middle of the road, somewhere between Grey’s Anatomy and House (without the crazed sociopathy) and with a good dose of Doogie Howser MD laid over on top. 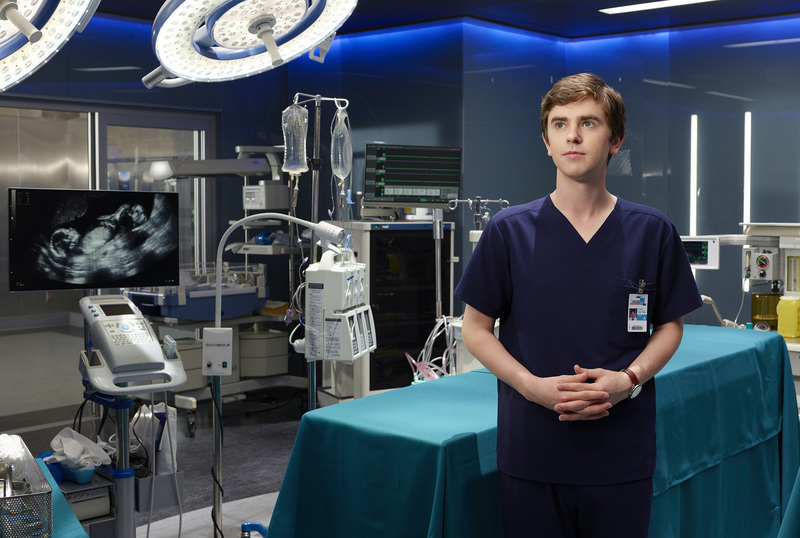 The House comparison is especially pertinent as that show’s creator David Shore, is in charge of The Good Doctor. His other credits include NYPD Blue and Sneaky Pete, all well-written and good quality stuff. The surgeons are all drop dead gorgeous and there is some shagging in the supply cupboard (not Shaun – such things bewilder him, and he is more interested in acquiring a big screen TV) as well as a lot of the usual human nonsense – ambition, hierarchical politics and jealousy – all of it baffling to the good Dr Murphy. Otherwise, the show does a nice job of exploring subjects like bullying, prejudice and sexual harassment. That last one is especially relevant given the current climate in the entertainment business. I laughed and I cried and was often moved. The first season is thoughtful and neatly paced and its only real flaw is a tendency toward overt sentimentality. Otherwise, the central theme of autism is well pitched and the message is that while people with the condition are a bit ‘different’ they can actually mostly get along quite well with a little understanding and empathy. Perhaps that is a bit simplistic but I am no expert so I will leave that one open for discussion. 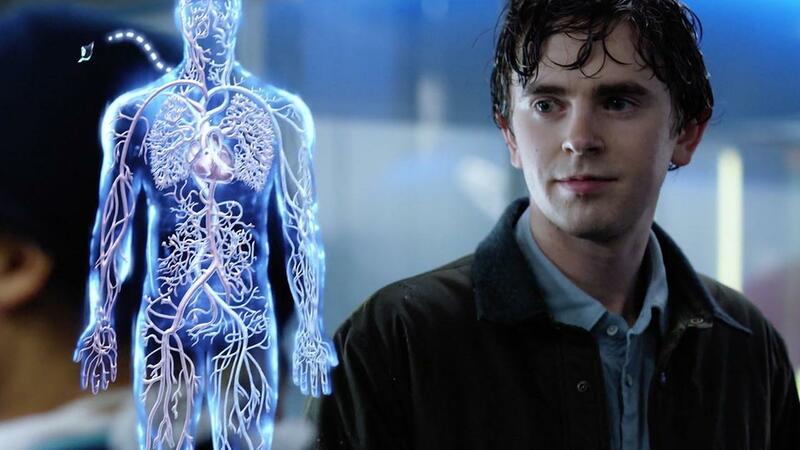 The Good Doctor starts streaming on Lightbox from Friday Feb 2.